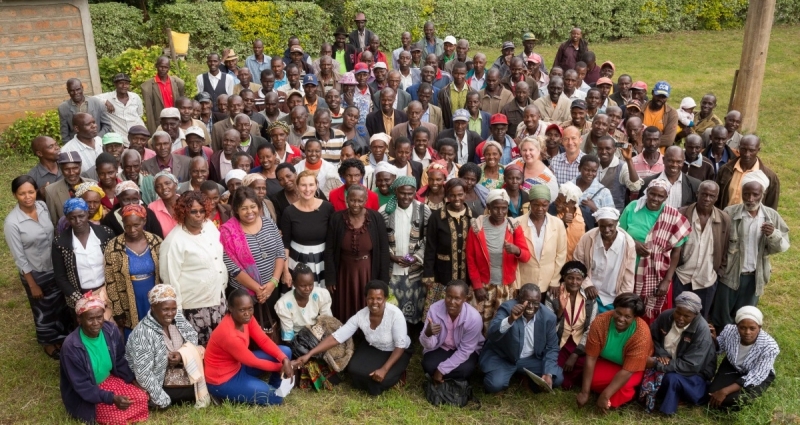 Zawadi Coffee – the Swahili name for gift – is giving women in western Kenya the gift of an independent livelihood. 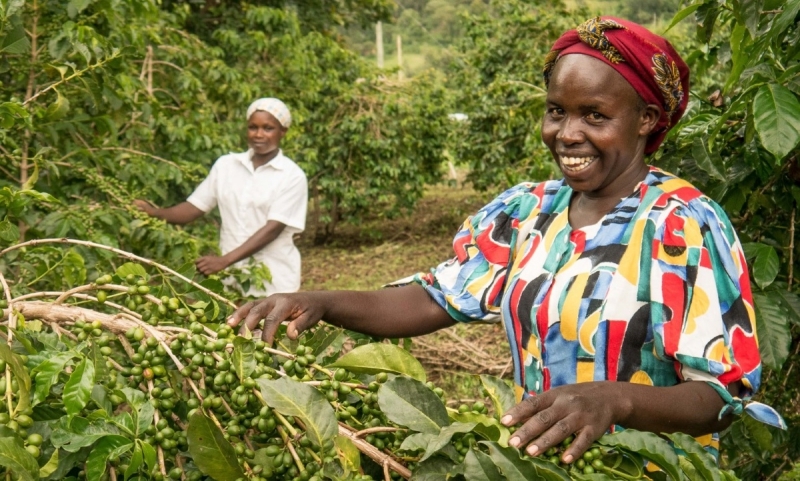 In the highlands of Kenya’s Rift Valley, women are growing their own coffee as part of a pioneering Fairtrade project and success story, Growing Women in Coffee. Launched in 2010, the project empowers women to plant, grow, harvest and sell their own coffee, and earn an income independent from their husbands. Female farmers in Kenya seldom own land or coffee bushes, despite contributing nearly 70% of the labour required to produce coffee. The land and coffee bushes usually belong to the men in the family, and as a result, women were unable to join farming cooperatives, sell their own coffee, or earn an income for their work. A lot of the family responsibility lies with the women – everything from cooking, cleaning, caring for the children and collecting firewood – but they have no property or money of their own. With the support of Fairtrade Africa, women were gifted coffee bushes by their husbands, which enabled them to form and become members of the Kabng’etuny and Kapkiyai Women in Coffee Associations. Through these cooperatives, the women have been empowered to learn more about coffee husbandry, environmental conservation, entrepreneurship and leadership skills, marketing techniques, and sustainable farming practices, all of which have helped them obtain Fairtrade certification and earn their own income. The Kabnge’tuny and Kapkiyai cooperatives are in the highlands of the Kenyan Rift Valley, where the climate and soil provides ideal conditions for growing premium Arabica coffee. The women have been trained in good agricultural practices to increase their quality and yield, as well as how to protect themselves and their crops from climate change. 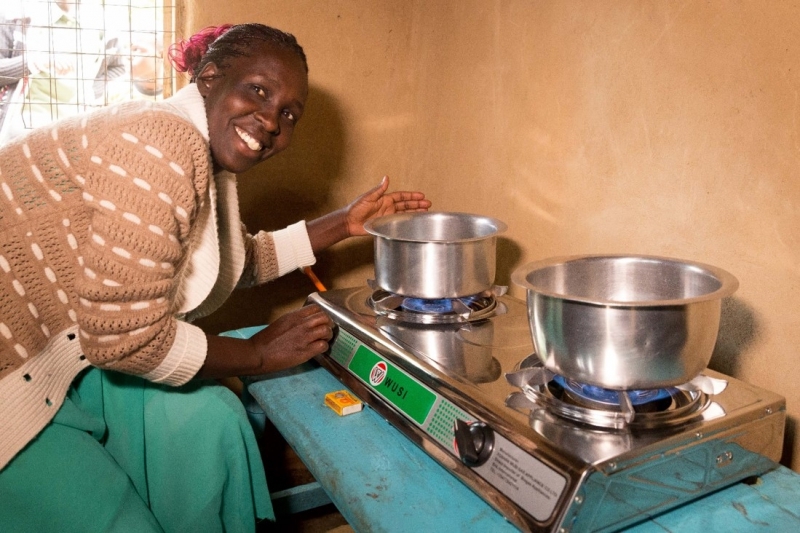 They’ve also been assisted by the construction of biogas units in their homes as an alternative to firewood and charcoal, which reduces the time women have to spend gathering firewood. Fairtrade is about reducing poverty in developing countries through fair terms of trade. It empowers farmers and workers through better prices for their product, increased market access, improved working conditions, technical support, and sustainable farming practices. Basically, when you pay a higher price for Fairtrade coffee, the money goes directly to the farmers who grow it, helping them to improve their skills, uplift their communities, and protect the environment. 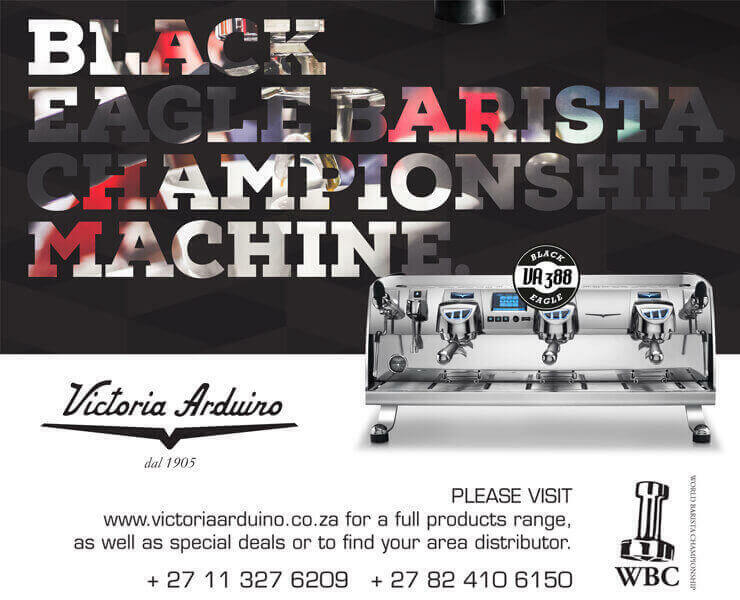 And in this case, supporting Women in Coffee associations promotes gender equality and empowers women to take control of their lives and contribute financially to their households. More than 480 women’s lives have been impacted by the Growing Women in Coffee project, and we can only hope it goes from strength to strength, inspiring other coffee-growing communities.